During her undergraduate research at Oxford in 1931-1932, working with H.M. Powell on the structure of thallium dialkyl halides, Dorothy Hodgkin was one of the first people to use X-ray crystallography to study the structure of an organic compound. Her doctoral research with J.D. Bernal at Cambridge concentrated on biological molecules, including sterols (the subject of her thesis) and vitamin B1. She also helped to make the first X-ray diffraction studies of pepsin, a crystalline protein. Bernal, Crowfoot & Fankuchen studied a number of steroids, mainly cholesterol and ergosterol derivatives, and by considering how the molecules could pack (head-to-head or head-to-tail) they were able to deduce the possible location in the structure of groups capable of hydrogen bonding. She moved back to Oxford in 1934. In 1945, together with C.H. Carlisle, she reported the crystal structure of cholesteryl iodide, the first completely stereochemically correct formula of a steroid. After Florey and his team had succeeded in isolating penicillin, Hodgkin worked on its structure, demonstrating the power of crystallographic techiques to solve the structure of a substance of unknown chemical formula. She later elucidated the structure of cephalosporin C, an antibiotic closely related to penicillin. 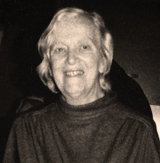 In the mid-1950s, after a lengthy step-by-step analysis lasting nearly ten years, Hodgkin and her team finally determined the structure of vitamin B12. The data processing made extensive use of three of the first electronic computers. She had a long-standing interest in insulin, having taken the first X-ray photographs of insulin crystals in 1935. In 1969, Hodgkin and her team reported the three-dimensional structure of rhombohedral 2Zn insulin and research on insulin refinements continued into the 1980s.